Hello Richard! I think we first met when you were a PhD student here at Leeds. Can you give a quick account of your background to help people get a feel for where you are coming from? 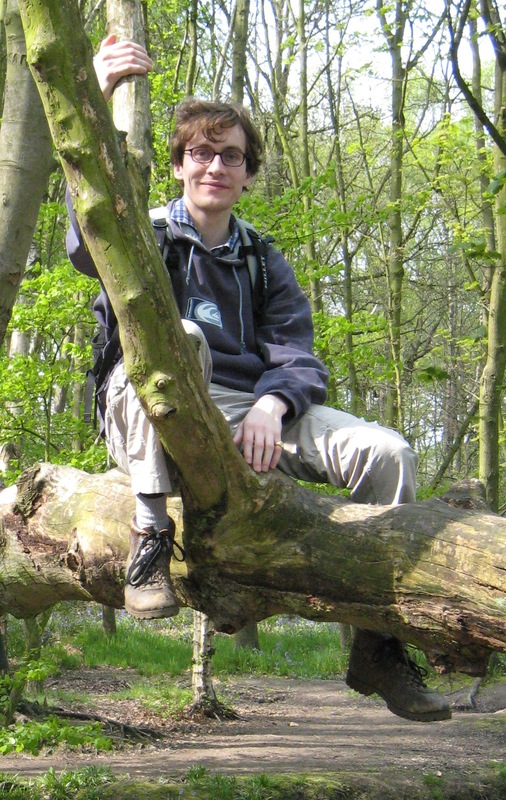 I initially followed a conventional academic path: I studied maths as an undergraduate at Oxford, and then moved north to Leeds to start a PhD in 2001, where I met you among other excellent people. My research at that stage was in the general field of mathematical logic. Afterwards I held a postdoctoral position in Freiburg in Germany, and at some point after that I somehow found my way into writing about maths for the general public. Apart from books, I’ve written for the New Scientist, and for the excellent Plus magazine online. In fact I got my first break there, when I won their New Writers’ competition in 2006, with an article about the classification of finite simple groups (http://plus.maths.org/content/os/issue41/features/elwes/index). 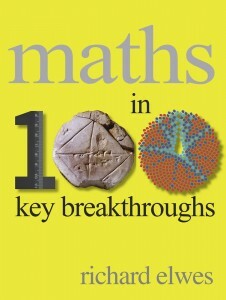 Your book Maths in 100 Key Breakthroughs came out last month. What’s it about? Who is it aimed at? It’s aimed at anyone who finds the idea of maths interesting and appealing, but who doesn’t want to drown in equations and jargon. So it’s written with a fairly light touch, and the idea is to provide a friendly overview of the subject. Its 100 chapters are arranged chronologically, each centered on some mathematical breakthrough. Chapter 68 is on Gödel’s incompleteness theorem, for example. But the intention is always to put the breakthrough into context – all too often people think of mathematicians such as Gödel appearing from nowhere, performing some heroic feat of mental acrobatics, and then disappearing without trace. So each chapter tells the story of where the breakthrough came from – what questions the people involved were trying to address and why, and then what consequences their work had – why it still matters today. Which was your favourite breakthrough? If I have to choose just one, I think I’ll plump for the Jordan Curve theorem. On first sight, it’s a statement so blindingly obvious that it barely seems to require a proof – it just says that any loop that you can draw on a piece of paper will divide the page into an inside and an outside. It tells us something about mathematics – and mathematicians – that anyone thought this was worth bothering with at all. But as soon as you break the statement down into precise terms, saying exactly what you mean by a “loop”, and what its “inside” and “outside” should be, suddenly it stops looking quite so obvious, and you might even start to wonder whether it’s true after all. Well, Camille Jordan was able to prove that it is indeed true, but the proof is rather harder work than might have been expected. I like the story because there’s a real back and forth between formal mathematics and common-sense – or intuition – which ends with a happy harmony. But the tale has a great sequel too, because lifting Jordan’s question into higher dimensions takes us to the discovery of Alexander’s horned sphere – one mathematics’ strangest objects, which really does seem to defy common sense, at least until you get to know your way around it. Which was hardest to research or write? Probably the earlier ones – which required digging into historical or anthropological material, and even questions from cognitive science – how good can non-human animals get at mathematics? These were also some of the most rewarding topics for me to look into, because it’s not my usual territory. Did you find anything that really surprised you when you were researching the book? What are the hidden gems? There are plenty – I hope! Did you know that there’s a New Zealand species of robin which can count as high as 12? And even new born baby chickens have a surprisingly good arithmetical ability. Here’s one from mathematics proper: the old ruler and compass constructions that the Greeks considered naturally lead to the idea of a “constructible number”. Similarly, you can derive a meaningful notion of an “origami number” from the Japanese art of paper folding. A cool fact is that all constructible numbers are origami, but not vice versa! Why is there no Morse Theory? That’s one of my favourite bits of mathematics and so much of 20th Century geometry and topology depends on it. Sorry! Well, I knew from the outset that there were bound to be omissions which would cause disgruntlement… so that’s one of them. I agree that Morse Theory is a beautiful and useful subject, of course! I’m sure we can used words such as lavish and copious when it comes to the pictures in the book. Did you select them or was it some publishing company minion? Were there any pictures you wanted to include but didn’t or couldn’t? It was a collaborative process – and remarkably time-consuming one! Myself, a picture-researcher, and the book’s editor exchanged a great many emails on the subject. I was pushing for illustrations which illuminated the maths to the greatest extent possible, while the editor wanted pictures with a really strong visual impact. The researcher was coming up with endless suggestions which usually one or other of us would reject! So it was a process of negotiating our way to the right balance. Certainly there were some pictures I suggested which didn’t make the cut, but nothing I was set upon – I’m pretty happy with the outcome. In science writing one often has to strike a balance between telling a good story and explaining some non-trivial science. I often hear people complain that TV programmes such as Horizon now only give the stories and not the science. What are your thoughts on this? Which direction do you lean in: story or hard science? I’d say that you can’t have hard science without a story, but you can tell a story without having any hard science. Perhaps that’s a temptation for some people, but not really for me. I suppose my tendency is the other way – I always to try to squeeze in just a bit more science, a few more details. But you mustn’t be too gung-ho about it, because it’s not going to work without a good narrative to hang off. As you say, the art is in finding the right balance. That will depend on the audience, and what I’m trying to achieve. But I’d never go for the really soft option of story only and no science – it would just seem like a missed opportunity. I don’t think I’d make that criticism about Horizon. Sometimes I do think “come on, you’ve got a whole hour here, you can squeeze in a bit more science, a few more details, even at the cost of a few lingering, artful camera shots”. But, hey, it’s very easy to criticise isn’t it? Usually it does a pretty good job, and is often excellent. Having worked a little in the media, I have some idea of the editorial pressures that the programme-makers must be under. You’ve published quite a few books in the last few years. How many? Do you want to give a brief explanation of each? Maths 1001 came out in 2010. It’s probably my most technical book, and was conceived as a “smart reference book”. That means that it’s meant to be fairly comprehensive, in the manner of an encyclopaedia or something, whilst also being readable – which is where the “smart” comes in I suppose. It was my first book, and I’m still proud of it. It’s aimed at people with a slightly more developed interest in the subject – perhaps people studying the subject at school, who would like to explore the wider mathematical landscape. How to Build a Brain a.k.a. Maths Without The Boring Bits, also sold under various other titles. It’s intended as a straight down the line pop-maths book. Thirty Five Chapters, each addressing a funky mathematical topic, plenty of unexpected quirks and anecdotes, all recounted in an engaging and unintimidating fashion. Hopefully! The Maths Handbook is perhaps the odd one out, as it’s really intended as a learning aid. 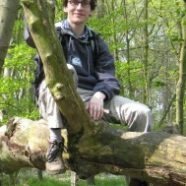 It’s for people who don’t feel confident with their own mathematical skills, and would like to do something about it. I’m sure you’ve had the experience – every mathematician has – of someone asking what you do, who then proceeds to tell you how terrible they’ve always been at maths. But this person seems intelligent, sophisticated, and articulate, by no means some sort of half-wit. Well this book is for them. 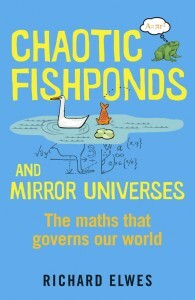 Then Chaotic Fishponds and Mirror Universes and then Maths in 100 Key Breakthroughs . Ah yes, in fact, 100 Key Breakthroughs is your second book this year. 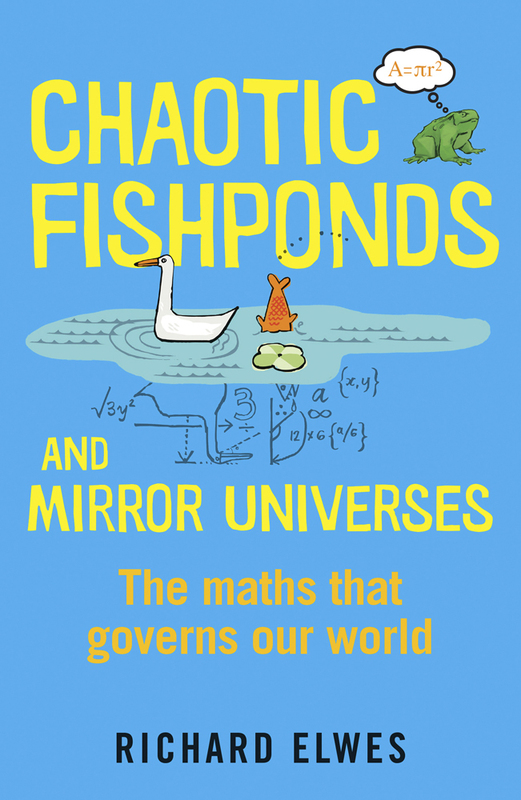 Tell me more about Chaotic Fishponds and Mirror Universes. Who is it aimed at and can you explain the title? This is actually my most recent book in terms of writing – I wrote it after Maths in 100 Breakthroughs, but because of all the pictures and editing that had to go through, it got overtaken. Chaotic Fishponds is about maths in the real world. I think almost everyone is aware, at some level, that maths is essential to many areas of life: science, computer technology, business, robotics, social media, etc.. But then the details become a little hazy: how exactly is maths used in these areas? The book tries to answer this question – each chapter discusses some aspect of the world which maths can help illuminate. I had to spend a lot of time digging around for some interesting applications – and I’m really delighted with some of the things I found. One little-known example is the extraordinary, even heroic, story of the first numerical weather forecast performed by Lewis Fry Richardson on the Western Front during World War 1. A more modern example – for anyone who has ever wondered how internet search works – is perhaps the most famous algorithm in the world: Google Pagerank. The title is taken from two of the chapters: if you’re trying to understand the yearly fluctuations of a population of fish, you very quickly find yourself having to consider things related to chaos theory. And ‘mirror universes’ concerns the importance that mathematical symmetry has in modern physics: if you reflected the whole universe in a mirror, would the laws of physics remain the same? It might have been called “Moon Landings and Soldiers hats”! You’ll have to read the book to see why. 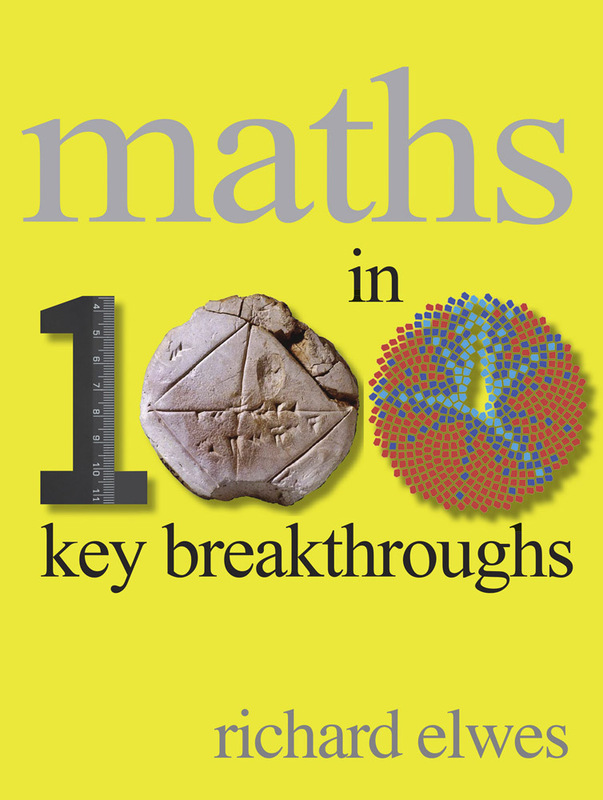 Both Chaotic Fishponds and 100 Key Breakthroughs cover a lot of mathematics. I remember Richard Feynman once said that if all knowledge of physics was wiped out and he could pass only one piece of knowledge to the next generation he would say that everything is made of atoms which vibrate. If all mathematical knowledge was to disappear what mathematical fact would you pass on? That’s a tricky question! The logician in me suggests the MRDP Theorem – that Diophantine sets and computably enumerable sets are the same thing. If you knew that, you could work backwards to deduce a great deal of logic including the insights of Gödel and Turing, and you would know a certain amount of number theory too – in particular the critical fact that there are not likely to be any easy answers to grand number theoretical questions like Fermat’s Last Theorem. What has been your favourite science book of the year so far? Doesn’t have to be mathematics. I’m often stuck for Christmas present ideas for my nerdy friends so something like that would be great. I’m not particularly good at reading the latest books to appear – I tend to read things when I come across them. I’ve only just read Gladwell’s The Tipping Point , which came out in 2000. It’s not a science book exactly, but it’s still a wonderful example of easy-to-read non-fiction, and without the overreach which many of these books seem to have. Perhaps I can just mention some other nerdy books I’ve read recently and enjoyed. The Quark And The Jaguar is by Murray Gell-Mann, the Nobel prize-winning physicist. It’s quite wide-ranging, but is broadly about ‘complexity’ from the level of particle physics right up to creative thinking. I also recently read Thinking, Fast and Slow by Daniel Kahneman which I thought was a riveting read… but it’s hardly an original choice – I’ve seen it on countless people’s book-shelves. Perhaps a lesser-known work is Thomas Schelling’s Strategy of Conflict from 1960. It’s about game theory – a subject I’ve recently become very interested in. It’s full of counterintuitive – and downright devious – ways to gain the upper hand in a strategic situation. It’s real Dr Strangelove stuff. If you’re looking for a book from this year, you might keep an eye out for the Best Writing on Mathematics , which is a compilation of writing edited by which comes out each year, edited by Mircea Pitici and published by Princeton University Press. The last couple of years’ have been excellent. So what’s next? Any more books planned? Or other projects? No more books imminent! Well I say that – I have a chapter in a forthcoming book 50 Visions of Mathematics , edited by Dara O Briain and Sam Parc, to be published by OUP in 2014. I have one vision. Otherwise I’m devoting more time to traditional academic activities like teaching and research for the moment. I’ve got involved with a new research programme about racial segregation, which I’m finding very exciting. There are some details on my blog (http://richardelwes.co.uk/2013/06/18/schelling-segregation-part-2/). I hope there’ll be another book in due course though! So there we go. If you would like a chance to win one of two of his recent books, then just sign up for my newsletter below. That’s all you need to do.